Located within the beautiful cave of Agia Anna, next to Kalafatis beach, Spilia Restaurant and Bar is visual perfection. 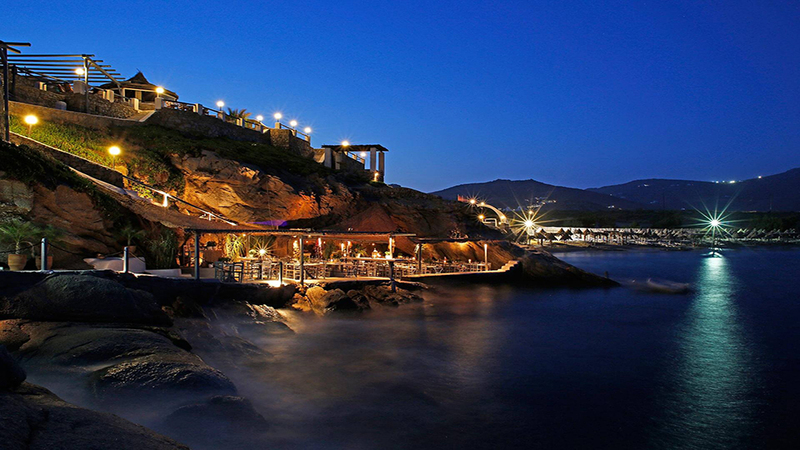 Peacefully nestled on a natural platform on the rocks over the sea, 30-year-old Spilia Seaside restaurant has solidified its place on the island with one of the best dining experiences on Mykonos. In terms of food, you can expect an authentic culinary experience, with dishes ranging from fresh Seafood straight from the Aegean to pasta, to fresh, perfectly seasoned vegetables, all accompanied by an equally impressive wine-list. 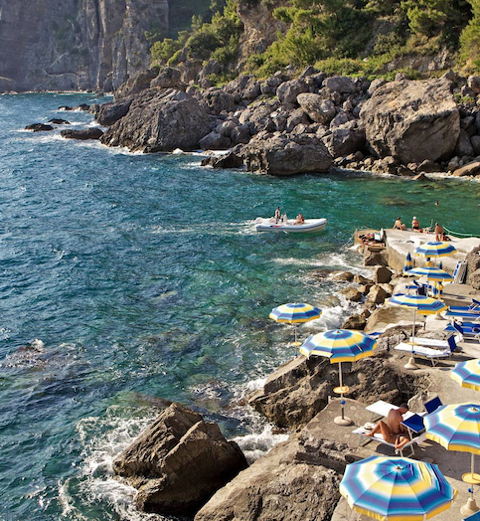 Also noteworthy - Oysters, mussels, urchins, crayfish and lobsters await your order in the restaurant’s natural sea pool and are prepared before your eyes. While Spilia does offer a lively bar scene, we prefer a dusk seating to take in the sunset from a location boasting some of the best views that Mykonos has to offer.